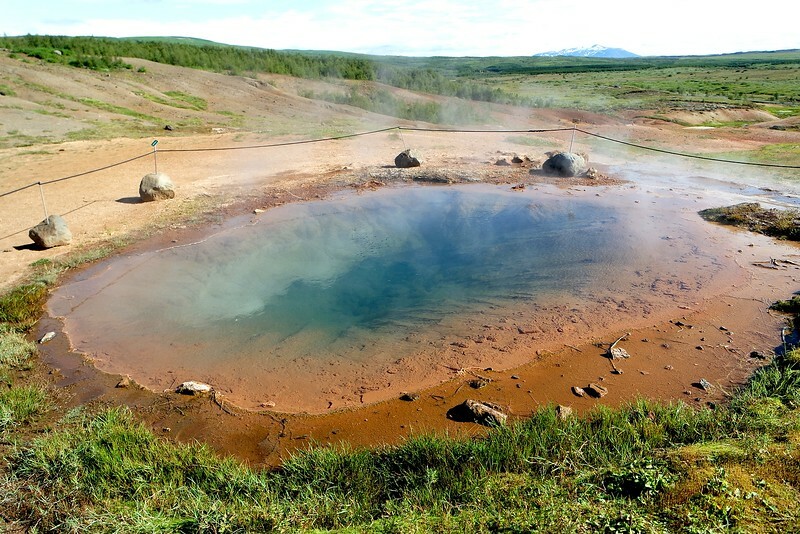 Haukadalur Iceland is a geothermal area on the Golden Circle. 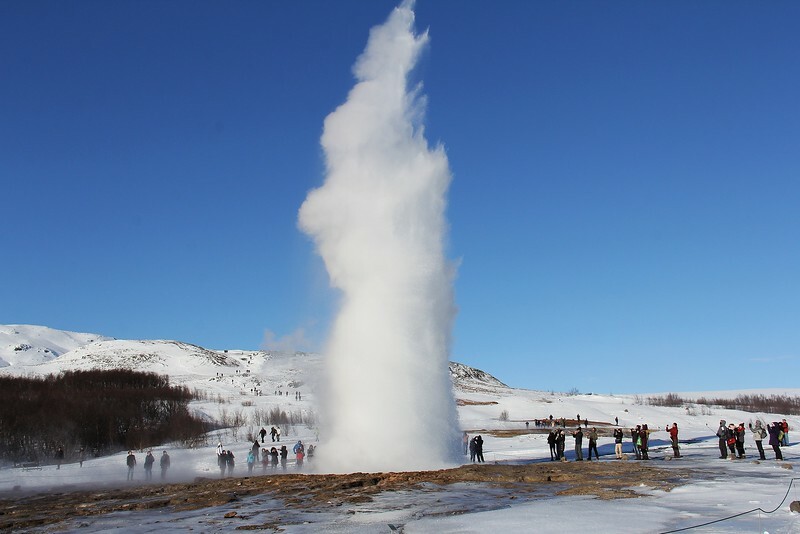 It is home to the famous Geysir which is dormant and the Strokkur geyser which you will be able to admire erupt many times. Discover the Haukadalur geothermal area in photos with tips to help you plan your visit at the end. The Haukadalur geothermal area is part of the Golden Circle Iceland with Thingvellir and the impressive waterfall of Gullfoss. 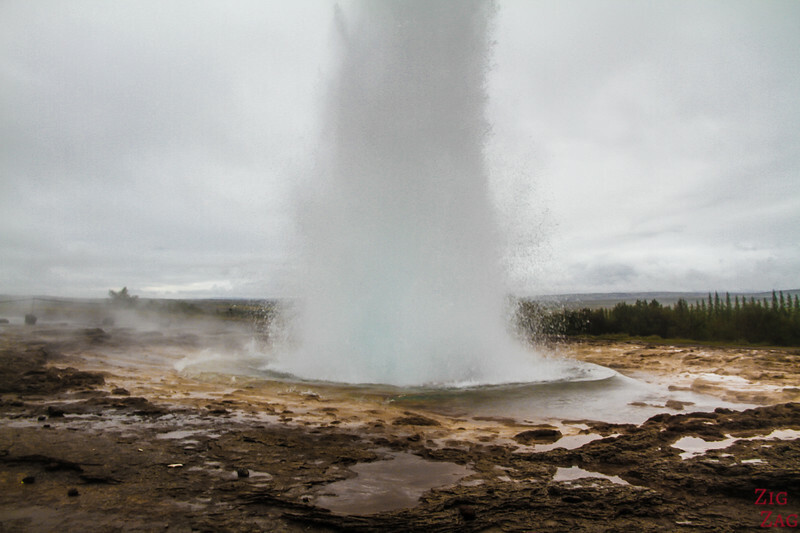 The English word ‘geyser’ is even derived from the name Geysir! 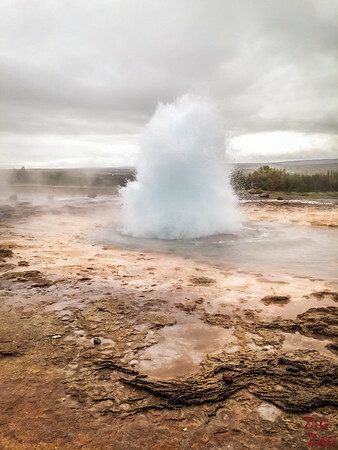 Eruptions of Geysir can spray boiling water up to 70 metres high, its eruptions are infrequent and have stopped altogether for years at a time. It went into a dormant phase in 1916. 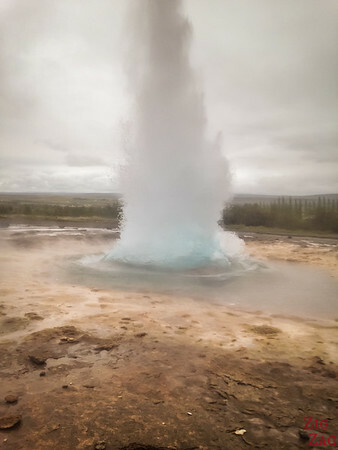 However the fountain geyser Strokkur erupts about every few minutes and the water reaches 15 to 20 m high, sometimes up to 40 m.
As I stayed in the nearby hotel, I was able to go to the geothermal area early and avoid the crowds.This makes it really easier to take pictures. 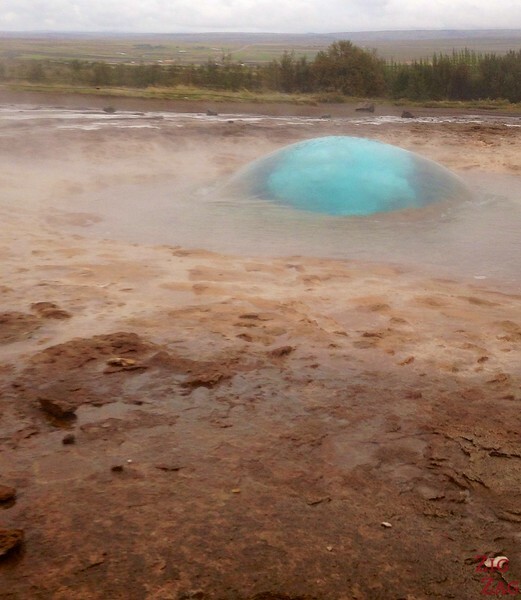 I can't imagine the situation when the Haukadalur Strokkur geyser is surrounded by tourists. I spent all of my time watching the water trying to guess when Strokkur was going to erupt and failing miserably. I had a lot of false starts on my camera. Also, be aware of the wind if, unlike me, you do not wish to take your second shower of the day! Haukadalur is part of the Golden Circle. 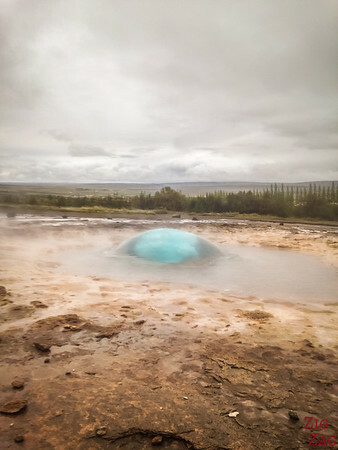 Haukadalur and Strokkur, along with many other beautiful places, are included in my eBook: The Road Trip Guide - Iceland. 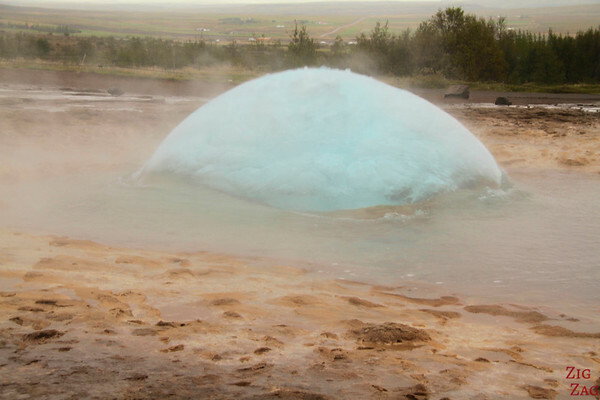 The geyser Strokkur erupts every 3 to 8 minutes. And sometimes I saw it erupt twice in a row. There is a hotel with cabans just next to it. 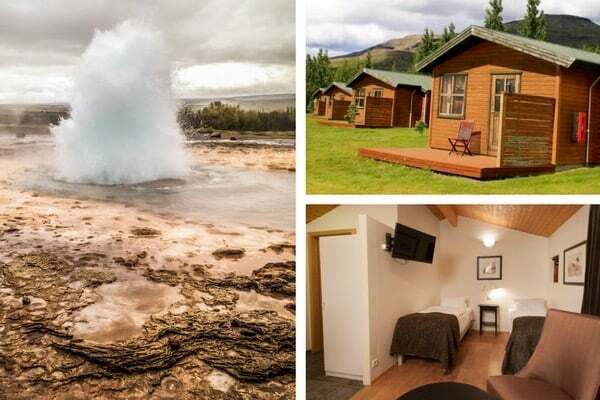 The Hotel Geysir website has many information including history of the geothermal sites and information on the various geysers and their eruption patterns although I am not sure how up-to date it is. 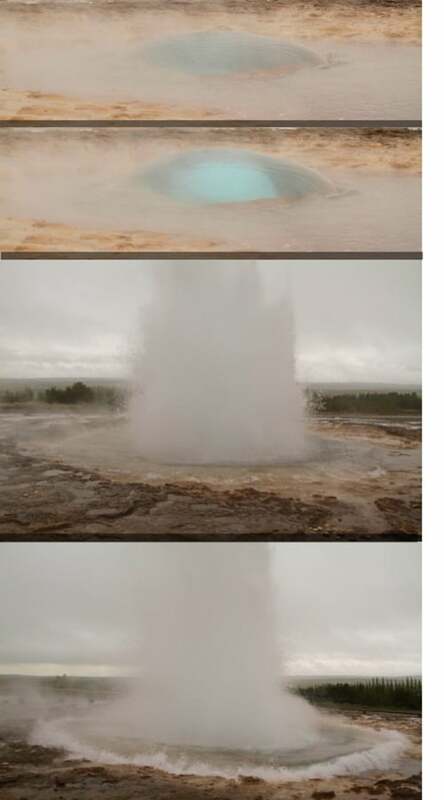 Have you ever seen a geyser erupt?